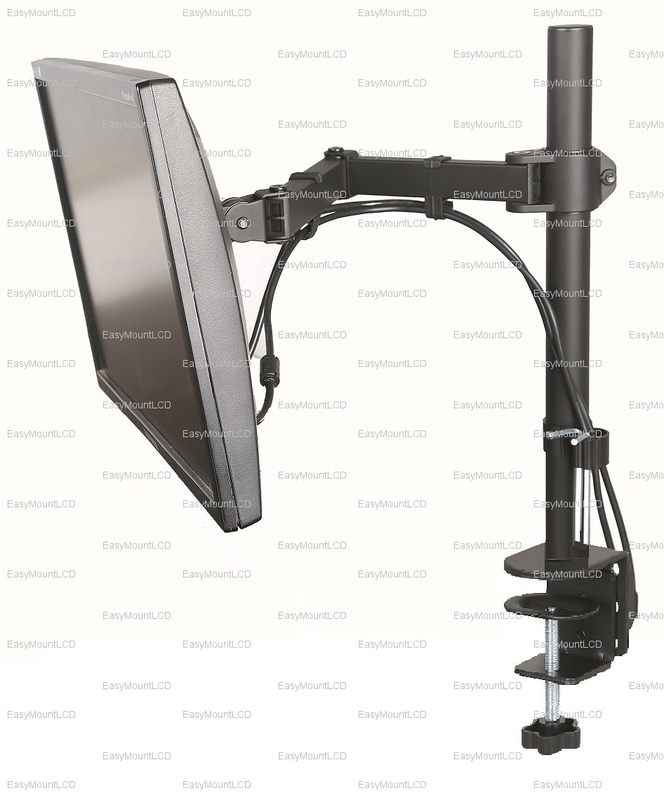 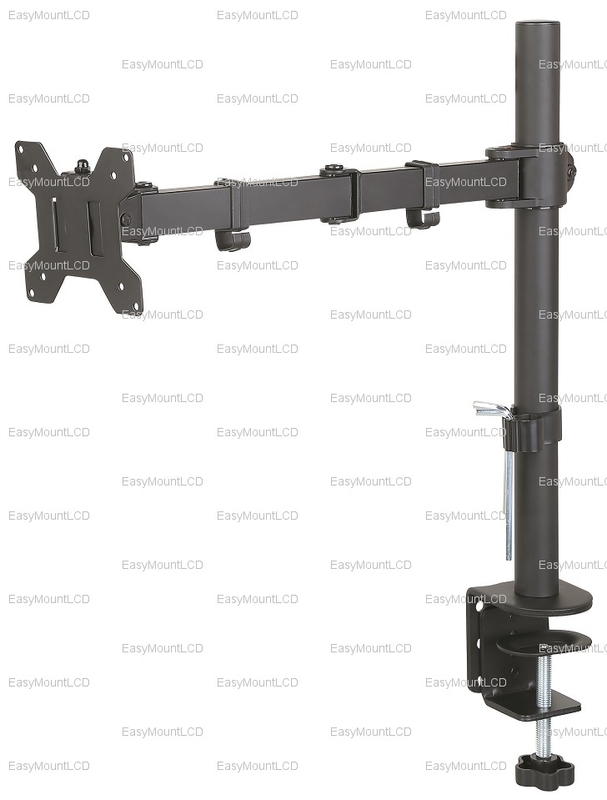 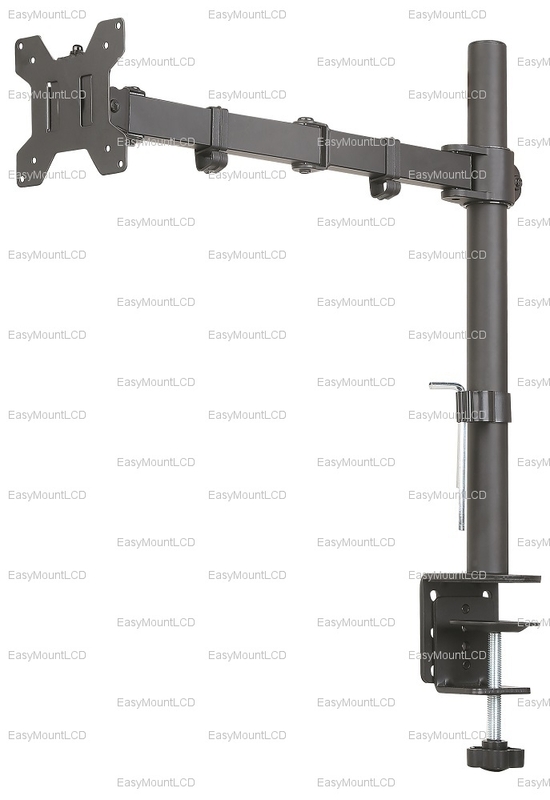 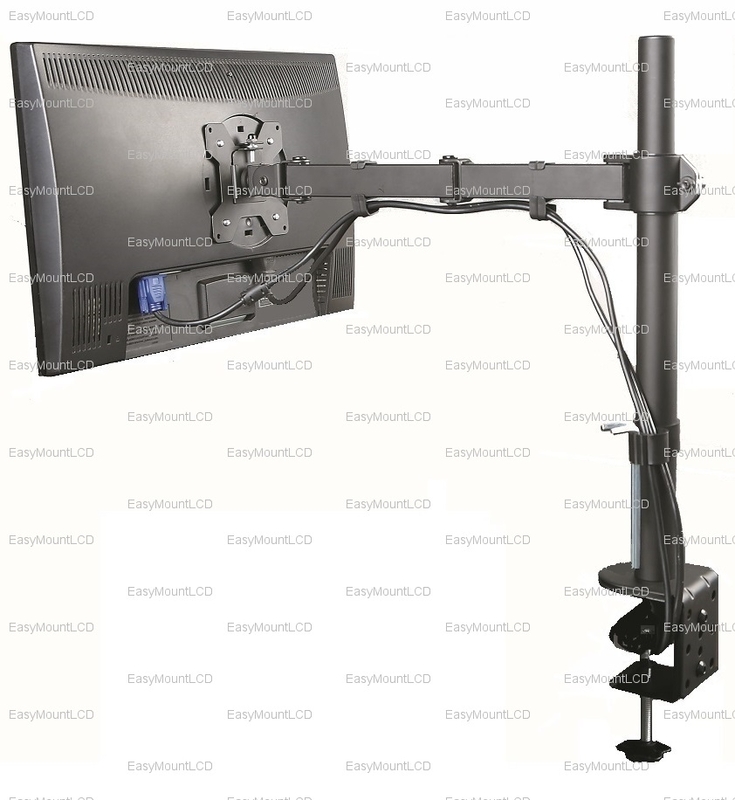 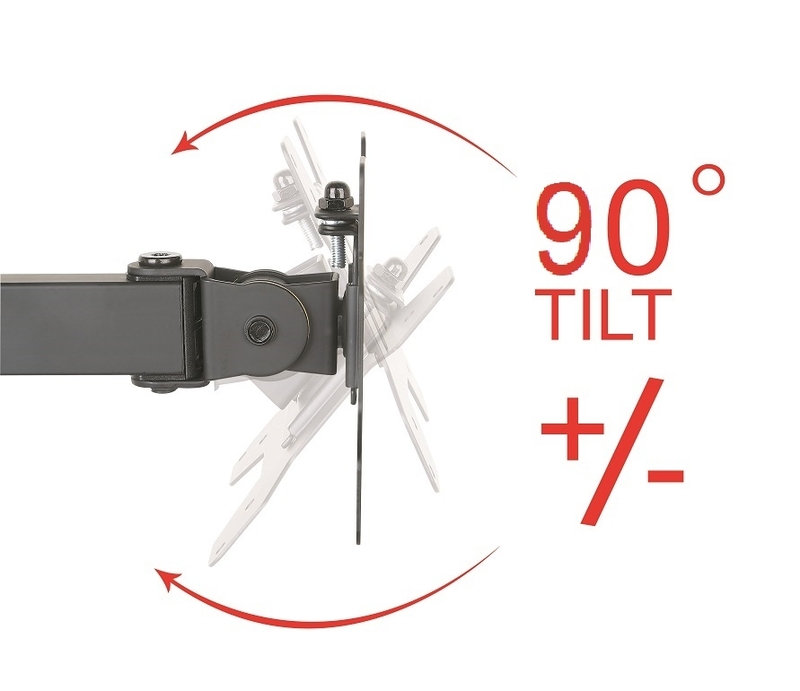 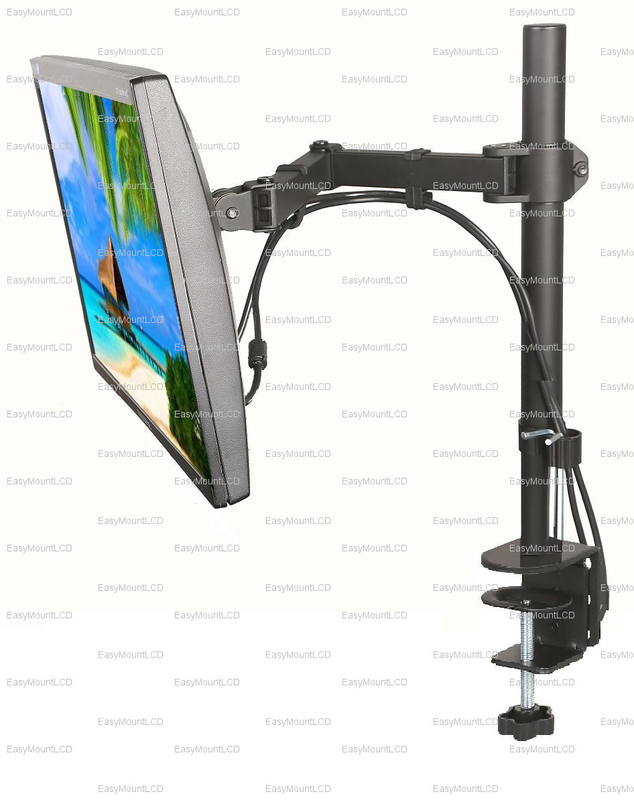 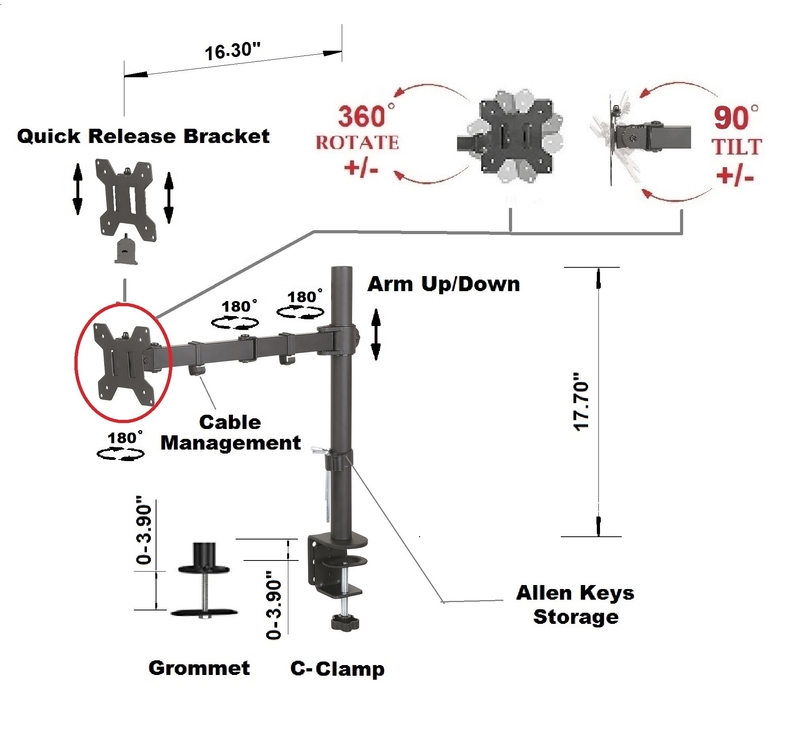 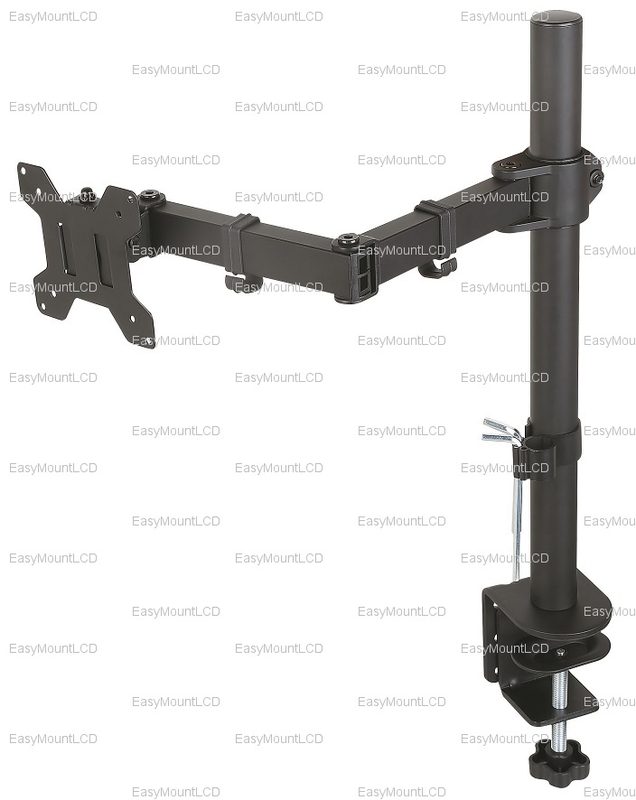 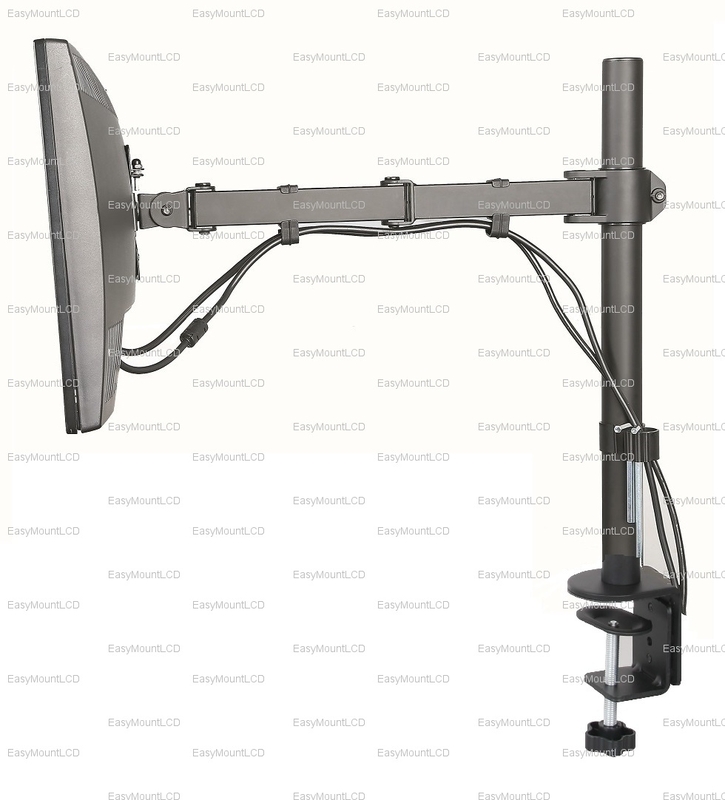 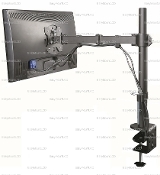 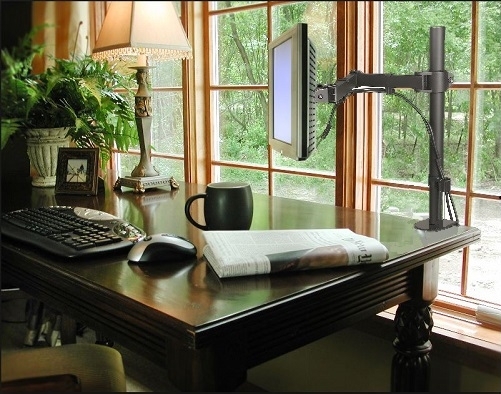 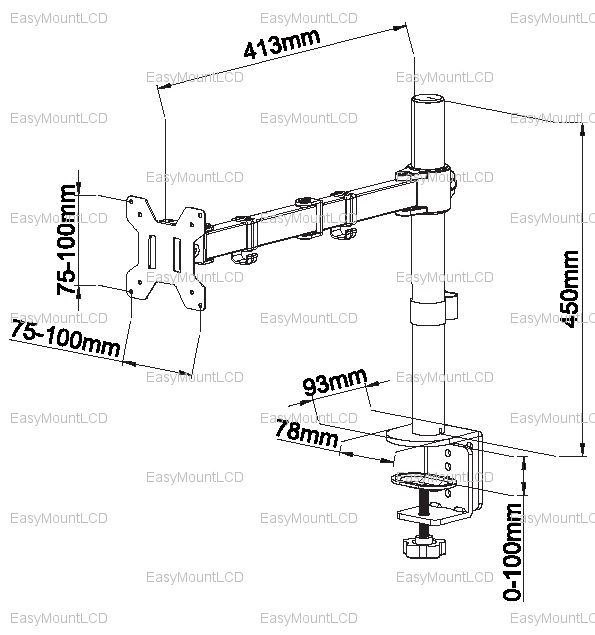 This sturdy, top-rated, high-quality ergonomic EZM Basic Sinle Monitor Mount Stand Desktop Clamp Up to 27" offers users complete flexibility to reposition their monitors for maximum comfort and optimum view ability. 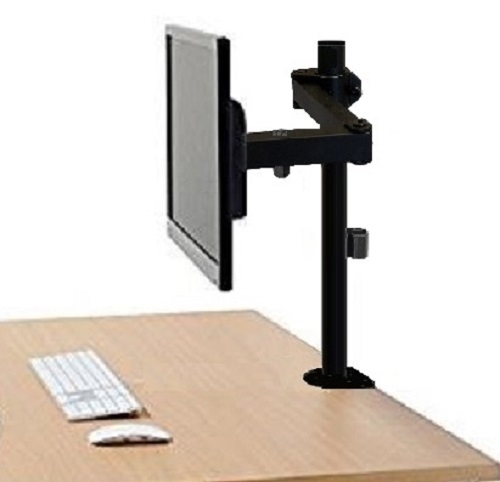 A perfect solution for limited space applications by removing clutter from the desktop, using work space effectively and mounting LCD monitors conveniently. 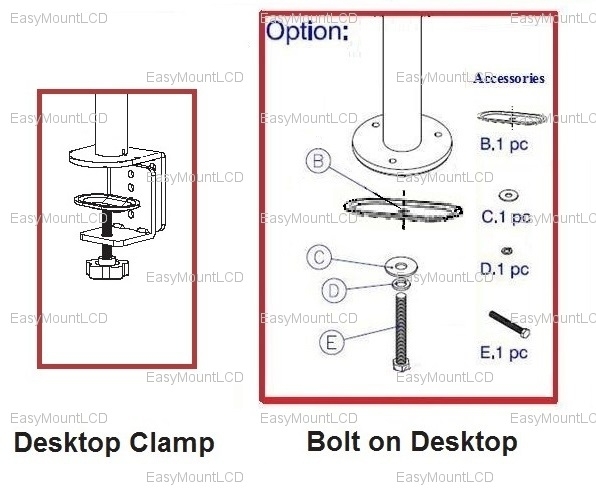 The item can be either clamped or bolted on the desktop. 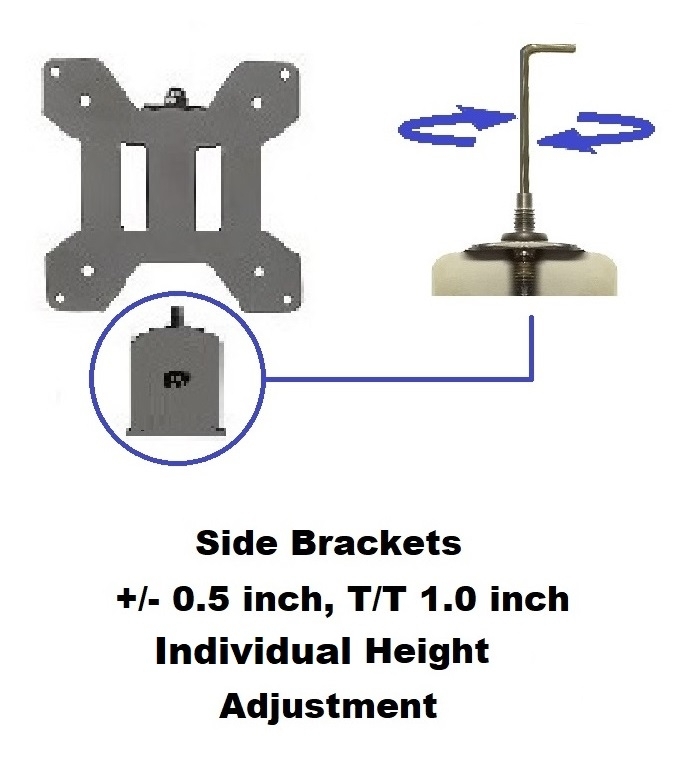 - The diameter of the pole is 1 3/8"